When a vulnerable young woman wakes up in the locked room of an insane asylum, with no memory of how she got there, the only thing she knows for sure is that she is Georgina Ferrars who lives in London with her uncle. And that is the one thing, it seems, that is quite impossible. The sympathetic h ead doctor of the asylum, Dr. Straker, assures her that she presented herself as Miss Lucy Ashton, and that the real Georgina Ferrars is safe at home. 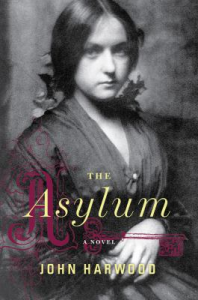 In The Asylum, by John Harwood, the young lady’s panic and despair mount as she fails to convince anyone of her true identity. Is she really insane? Is the woman in London the real Georgina, or a scheming imposter? No one is as they seem, and as she plots to escape the asylum, the plot against her tightens. The evocative Victorian atmosphere and gradual revelation of the secrets surrounding the heroine make this a chilling, dark, and very enjoyable read.